A true, brilliant face of justice stepped out into the streets of Croatia and the world last Friday! 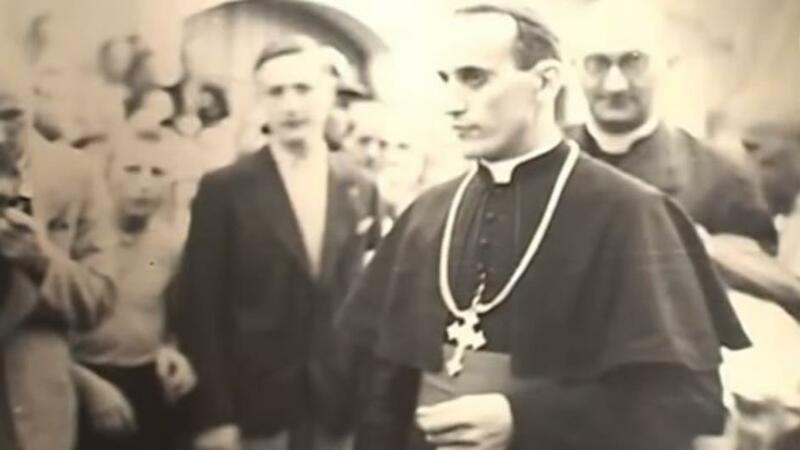 On 22 July 2016 Zagreb Country Court issued a judgment of great historical and political importance, announcing the complete annulment of the sentence against the archbishop of Zagreb, Aloysius Stepinac, passed by the politically rigged communist Yugoslav court 70 years ago, in October 1946. The Zagreb County court in Croatia, a panel of judges presided over by Judge Ivan Turudic, annulled, quashed the 1946 communist Yugoslavia treason conviction against Archbishop Aloysius Stepinac, ruling that he did not receive a fair trial. Belgrade (Serbia) driven anti-Croat hoards, whose mission was to ensure that Croatia was the only Yugoslav federation state to be made responsible for the crimes of the holocaust on Yugoslav soil despite the fact that as a result of having exterminated 94% of Serbian Jews by mid-1942 Serbia’s WWII regime had been among the first European states “judenfrei” (Jew-free), had in 1946 charged and convicted Stepinac with crimes of collaboration with the pro-Nazi Ustashe regime. “In less than a month from the indictment, the communist People’s Court of Croatia found him guilty on all counts, and the verdict was handed down on October 11, 1946. Stepinac was found guilty on all charges. He received a sentence of 16 years of hard labor. In 1950 a group of American Senators made freedom for Archbishop Stepinac a condition for American aid to Yugoslavia. Tito (Yugoslav president Josip Broz Tito), eager to improve his relationship with the West, agreed to the deal with one stipulation: Stepinac must leave the country. Similarly, requests were made also by Pavelic (Ante Pavelic, leader of WWII Independent State of Croatia), in both cases, Stepinac refused to leave arguing he would remain with his people unless they take him by force. Finally, in December 1951, Josip Broz Tito ordered Stepinac’s release, but sentenced him to house arrest in his native village of Krasic. 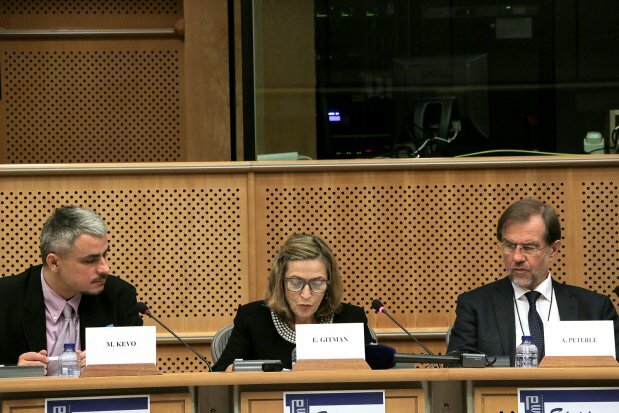 In 1953, when he was elevated to Cardinal by pope Pius XII, When reporters asked him whether he will leave for that occasion he replied: ‘As long as Croatia is not free, the whole country is my prison.’ ‘My place is in Croatia with my people, not in the Vatican,” Dr Esther Gitman quote at EU Parliament presentation from Nova Hrvatska (New Croatia), 30 Fleet Street, London E. C. 4, England, February 1960, p. 1. Dr Esther Gitman is a leading world researcher of WWII archive facts that indisputably place Archbishop Aloysius (Alojzije) Stepinac as one of the leading rescuers of Jews and all other persecuted ethnic groups such as Serbs and Roma in WWII Independent State of Croatia. Indeed, in June 2011 Pope Benedict XVI praised Cardinal Stepinac as a courageous defender of those oppressed in Croatia during WWII, including Serbs, Jews and gypsies/Roma. In February 1992 the parliament of Croatia had passed a “declaration of condemnation of the political process and judgment against Cardinal Dr Aloysius Stepinac” (click on link for pdf of the Declaration), which states that he was convicted as an innocent person “for having rejected the communist powers’ orders to bring about a schism in the Church and bring about the separation of the Croatian Catholic Church from Rome and Vatican, which had the far-reaching goal of the destruction of the Catholic Church as the eternal keeper and protector of Croatian people’s identity and freedom. He was convicted because he stood against aggression and crimes of the communist regime, just as, in the storm and cruelties of WWII, he acted to protect the persecuted, regardless of their ethnic origins or religious outlooks. 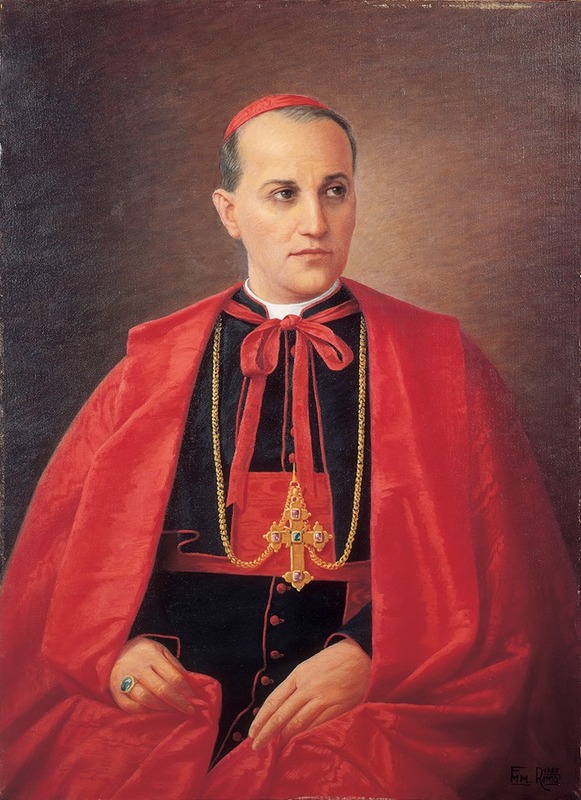 Although the Croatian people and the Catholic Church had never accepted the judgment against Archbishop Stepinac, the Croatian Parliament, as the highest representative body of Croatia, by expressing its clear position towards the unjust judgment against Cardinal Stepinac now corrects an historic injustice and insult against the Croatian people. 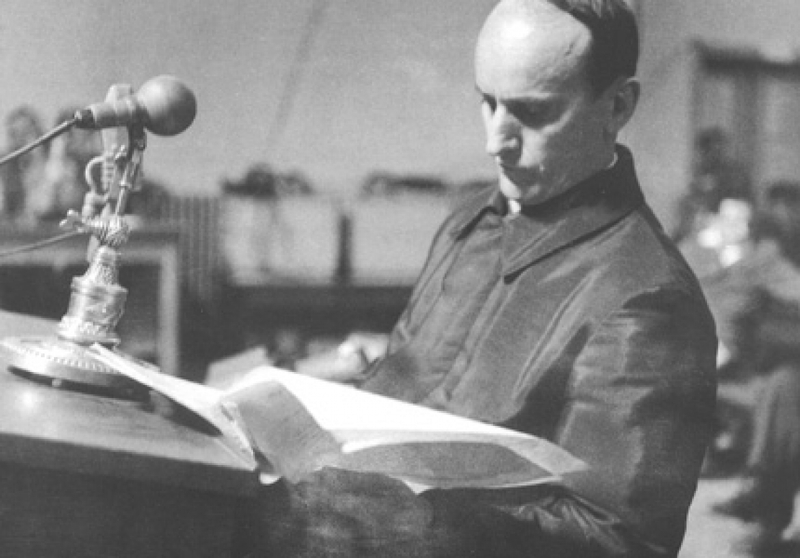 Having overturned the 1946 verdict against Stepinac, Judge Ivan Turudic read the court’s findings, which concluded that the 1946 trial had violated the right to a fair trial, prohibition of forced labour and the right to appeal. He said the goal of that verdict had been “revenge against Stepinac“. The judge said that the rigged politically motivated trial against Stepinac, violated the right to a fair trial as well as rules of the law-based state. Judge Turudic said that it was evident from the minutes of the 1946 trial that prosecution’s witnesses had been instructed how to charge the defendant. 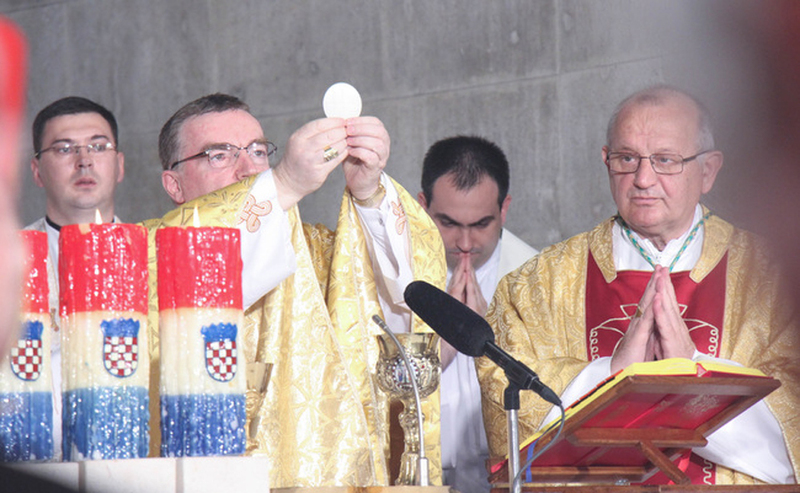 “The fundamental crime Stepinac was charged with was the fact that he was at the time of NDH (WWII Independent State of Croatia) the Archbishop of Zagreb. He himself asked at the trial ‘Well, what was I supposed to do? 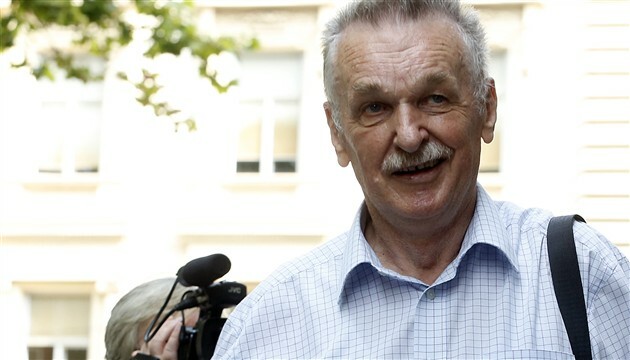 Go into a forest or escape to London?’ He decided to remain with his people with whom he also remained during the Yugoslav Kingdom dictatorship and during Tito’s communist dictatorship,” Judge Turudic said. Turudic also said that while in prison Stepinac was offered to sign a pardon form issued by the communist authorities but that he refused the offer, instead, Stepinac asked for a re-trial before an independent court or the quashing of the verdict. Of course, such a request was refused. 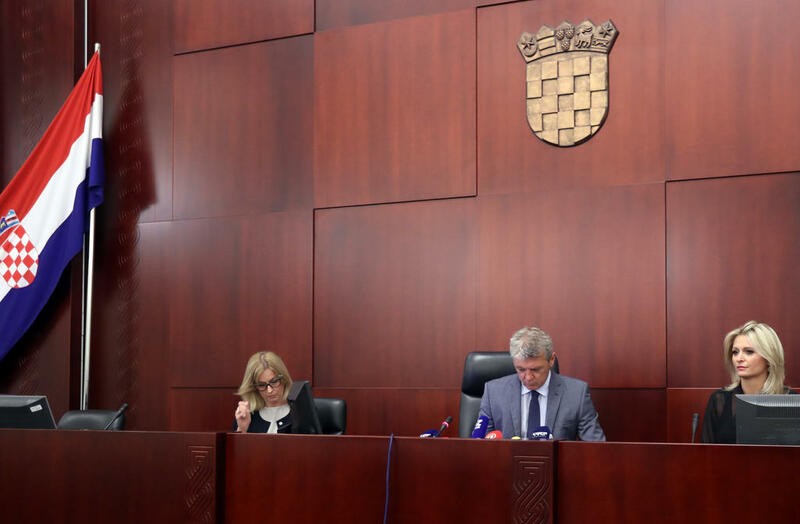 “After 70 years his will is fulfilled by the Croatian court in a free Croatian state and that is why this judgment has profound importance not only for the individual but also for the history of the Croatian people,” Judge Turudic concluded. “I’m very moved, I didn’t expect it would be resolved so quickly. I thank the Croatian judiciary for finally removing the stain which for years was not only put on the cardinal, but on the Catholic Church, the family, and the whole Croatian nation as well,” Cardinal Stepinac’s nephew who instigated the legal process for the review of the 1946 verdict, Boris Stepinac, told Croatian news media after the judgment was read out in the court. “Today, documents and arguments proved in a court that he was indeed a righteous man,” he added. As expected the ruling fuelled protests and criticisms against Croatia, renewed false and hateful allegations that this ruling amounts to rehabilitation of the WWII Ustashe regime in Croatia. Such false allegations are concocted and propagated by the very top of Serbia’s leadership and its president Tomislav Nikolic stated that Stepinac was not tried and convicted in WWII Independent State of Croatia or today’s independent Croatia but in Yugoslavia, suggesting that Croatia had no jurisdiction to judge on judgment delivered in Yugoslav courts. This protest is enough to demonstrate how hopeless pursuits of truth and justice still are in Serbia. So, I choose to ignore any criticism on the matter coming from Serbia for Serbia’s leadership is evidently still incapable of separating true justice from political set-ups. Nikolic further stated that he relayed his opinion regarding Stepinac’s role in WWII to Pope Francis and I do trust that opinion has ended up where it came from: the dungeons of dangerous hatred against Croats Nikolic and his followers had demonstrated many a time, including during the genocidal Serb aggression against Croatia and Bosnia and Herzegovina in 1990’s. In 1998 the late Pope John Paul II beatified Stepinac – putting him on the road to sainthood – during a visit to Croatia. While Pope Francis seemingly procrastinates as to the date when Aloysius Stepinac will be canonised and declare a Saint of the Catholic Church, the majority of Croatian people already regard him as a Saint. Serbia’s reaction does not surprise at all – Serbia fears that the trail of truth will force it to reveal the atrocities against Jews it helped Nazis commit during the war. And so in June this year it sent letters to EU parliament protesting against the exhibition and conference on Alojzije Stepinac. In these letters, the Serbian Ministry of Foreign Affairs said it is unacceptable to organize an exhibition to glorify the figure and work of Stepinac, who is presented there as a “true gem of the Catholic Church and the Croatian people”. In 1946, the Supreme Court of Croatia – then a republic of Yugoslavia – sentenced Stepinac in Zagreb to 16 years in prison and loss of civil and political rights for a period of three years for his actions, abetting crimes, treason and collaboration with the Ustasha regime and for mass conversions of tens of thousands of Orthodox Serbs – the letters to EU said. Rubbish, Zach – to you truth and justice is a “hard shift to the right” – so be it. So be it! Truly a sad day and a travesty for mankind. I have faith that this pope, a spiritual leader for ALL of mankind, for all religions, will do the right thing. It is a set back in Orthodox-Catholic and Serbian- Croatian relations. On a deeper note, the current government in charge of Croatia continues to disappoint, stoking the darkest feelings of nationalism and DELETED AS UNCORROBRATED. This decision is a shame for all, Croats included. 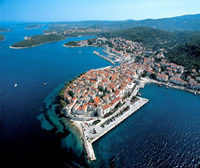 More and more, Croatia is embracing a hard line, nationalistic …DELETED AS UNCORROBORATED. The world has taken note and it is time this government changes, for the good of Croatia, the Balkans, and Europe in general. – what does this judgement say about the entire communist legal system? What other judgements need to be overturned or annulled? Further, if the Communist legal system was rigged, which is the very foundation of a society, it is certain then that many other parts, indeed the entire communist system was rigged and false, including historical facts. If this does not become crystal clear to Croatians now then we are doomed. True, Sunman – the ruling only declares the communist verdict null and void and as to Stepinac’s innocence of the charges of collaboration there is enough evidence sourced by researchers of Yugoslav archives and witness statements to declare him innocent and indeed many have only a court has not because a re-trial is not possible. So we need to keep pointing to the evidence that proves him innocent even knowing that Serbs will never accept it for if they did they will be forced to consider their government’s deeds during those times. What a journey this man went through Ina.. and all for trying his best to help ALL. at last, at long last ……….. Funny that Nikolic would say that Croatia has no jurisdiction over a Yugoslav Court ruling when the Serbian High Court rehabilitated Draža Mihailović on 14 May 2015 a ruling reverses the judgment passed in 1946 by Yugoslav courts. With regards to Stepinac’s sainthood, the Pope has set up a joint Catholic-Orthodox working group to look into Serbian objections (though it is not believed that this group will have any say into the final say). The Catholic side has sent three Bishops and two historians whilst the Orthodox side has sent four bishops and the Serbian ambassador to UNESCO. How do the Serbs propose to answer a historical question without the use of historians? They answer may be that they have not indention of doing so. Genocide is not cool, Ina, nor is its denial…..
@zach – Agreed, but tell that to the bloodthirsty Titoist Yugoslav Ultranationalists like Pusic and Mesic who deny the post-WWII genocide of unarmed surrendered soldiers and tens of thousands of women, children and elderly. I reckon, therealamericro, the Zach that comments here would dearly love to pin all sorts of crimes against Stepinac just as communists did way back, many comments of his have been deleted as he tried to force such allegations as facts, but hey if he replies to your comment it will not pass unchecked – as per this blog’s policy. God always lets the truth out, I am glad for Blessed Aloysius and for Croatia. Significant events and judgements like this always bring out the historically-challenged. 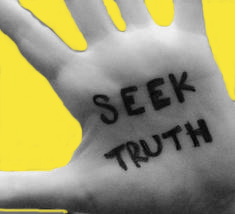 Aka those who only care about truth & justice that comes with a specific political slant and only when it suits them. Doesn’t it astound these Stepinac naysayers that a Jewish woman still fights for the truth about Stepinac to be recognised, despite whatever crimes were committed during NDH and whatever Croatia’s current political situation is? Or do they ignore the work of Dr. Esther Gitman (and similar) because it doesn’t suit their version of reality? I for one, am forever grateful there are people like Dr. Gitman because I believe that ultimately they’ll do more than any politician to bring about reconciliation and justice. Let’s keep the momentum. Ina do you have details of his fellow prisoners that were also pardoned? A relative of mine was in jail with him but can’t find any mention of him. Ina Vukic is a tireless volunteer on humanitarian aid and fundraising for victims of war in Croatia, Bosnia and Herzegovina, especially war orphans. Ina was awarded two medals of Honor by the first President of the Republic of Croatia in 1995. Her Blog is a wealth of knowledge, present and past. Please visit Ina’s site.